Home > Information > PLST 奈良店 OPENING STAFF 募集開始!! 郡山店も同時募集! 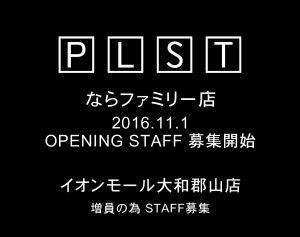 PLST 奈良店 OPENING STAFF 募集開始!! 郡山店も同時募集!